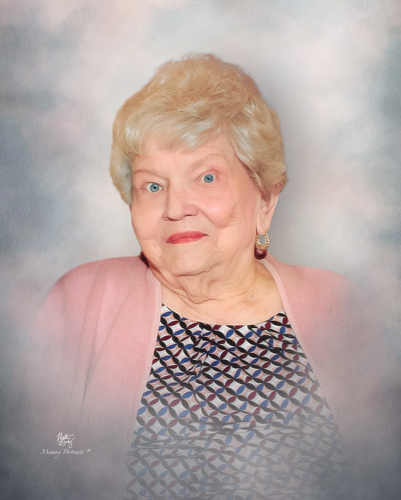 Alma Lucille (Shirley) Dyer, age 93, of Evansville, IN, passed away peacefully on Monday, January 14, 2019, at the Linda E. White Hospice House. She was born September 18, 1925, in Bowling, Green, KY, to Hiram and Velma (Bailey) Shirley. Mrs. Dyer, a former resident of Newburgh, IN and Bowling Green, KY, earned her Bachelor’s Degree from Western Kentucky University and attended Indiana State Teachers College, now Indiana State University in Terre Haute, IN. She taught for over 40 years before retiring from Boonville Jr. High School in 1992, where she taught Math and English. Mrs. Dyer was a member of Trinity United Methodist Church where she utilized her culinary skills to support the women’s ministry. She was an avid bridge player and a talented seamstress. She is survived by her daughters, Shirley Dyer Beard (Butch) of Madisonville, KY, Kimberly Dyer Vierling (Matt) of Newburgh, IN, and Rebecca Kay Dyer of Franklin, TN; brother, Samuel Shirley (Joanne) of Plano, TX; sister-in-law, Joyce Shirley (Eldon) of Evansville, IN; grandchildren, Joshua Evinger, Karl Vierling (Jennifer), and Kayla Harpenau (Andrew); great grandchildren, Nathaniel Vierling, Ian Vierling, and Matthias Harpenau; numerous nieces, nephews, and cousins; best friends for many years, Cheryl Howell of Mooresville, IN, and Roberta and Jerry Miller of Shreveport, LA. She is preceded in death by her beloved husband of 44 years, Herman E. Dyer, Jr., who passed away in 1992; parents; sisters, Annie Coulter and Mary Catherine Meador; brother, Elden Shirley; granddaughter, Susie; and nephew, Joseph Shirley. Funeral Services will be held at 11:00 a.m., Friday, January 18, 2019 at Boone Funeral Home East Chapel – A Family Tradition Funeral Home, 5330 Washington Avenue with Reverend Al Amstutz officiating. Burial will be in Rose Hill Cemetery. Friends may visit from 3:00 p.m. until 7:00 p.m., Thursday, January 17, 2019 at Boone Funeral Home East Chapel and from 10:00 a.m. until service time, Friday, January 18, 2019 at BOONE FUNERAL HOME EAST CHAPEL. Memorial Contributions may be made to: Riley’s Children’s Hospital at 30 South Meridian Street #200, Indianapolis, IN 46204 or Linda E. White Hospice House at 611 Harriet Street, Evansville, IN 47710.